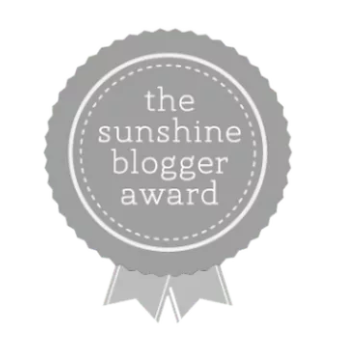 Ok so last week, Shoma from “The Mommy Spice” nominated us for the Sunshine Blogger Award. Thank you so so so much, SHOMA! We love this! Being nominated for doing something that we love + it’s called the SUNSHINE blogger award…c’mon!! How perfect for us girls from sunny Southern California?! Anyways, The Sunshine Blogger Award is given by bloggers to bloggers who are inspiring + positive + creative. We are so honored to receive this and pass on our own awards to bloggers who are also inspirational, bring that positive vibe while showcasing their creative side. So Shoma asked us the questions listed below. We each answered, so you’ll see our own responses labelled with an S for Shraddha, R for Reena, N for Neesha and P for Puja! What is your favorite part about blogging? We love being able to express our creativity + art + motherhood journeys in a way that connects with other like-minded mommas. When did you start blogging? We started in 2011 – 7 years! What 4 bloggers inspire you? We are into so many but we each love Walking on Travels, Scary Mommy, Ann Lamott’s Kindness Blog, Minimalist Baker + we inspire each other on the daily!! What is your favorite TV Show? We don’t watch much these days but we are all loving This is Us and P loved the last Narcos season! Do you have any kids, if so how old? We have 9 kids between the four of us, ages 2 – 9. There are 3 girls and 6 boys. We are busy! What is your favorite food? N – good old turkey burgers, R – really enjoys all Asian food…Chinese, Thai, Malaysian, Himalayan. P- Burmese and S – Really do love Indian the best – all regions but Mexican is a close second. What is your favorite activity to do on the weekends? N – try new restaurants and watch my kids play sports,. R- love to spend time with the family outdoors, can’t resist…we do live in Sunny San Diego! P – being beach bums with the family and go to Sunday brunches. S – taking it slow…simple things like long breakfasts of pancakes in the morning, afternoon beach time and sunsets with the family and the much-needed down time where we all just together doing nothing but it feels fulfilling and perfect. Is blogging a hobby or your full-time job? Hobby for each of us. And lastly, if you could visit any place in the world,where would it be and why? N – African Safari, my parents grew up in Africa and they always talk about how beautiful it can be. It would be totally out of my comfort zone out but definitely a bucket list item. R – I would love to visit anywhere in South America, I have not visited that side of the world yet. P – Italy. It’s one of the few places in Europe I haven’t been yet and I’m a sucker for anything romantic. Between the food, language, Amalfi coastline, Tuscan countryside and so much rich history, it all feels like a heart filling adventure I want to take. S – I second the African Safari and will definitely do this with the family once the boys are older But right now, I would pack my bags to go to Cuba! I really want to go before it changes and would love to explore. What is your favorite song / music? What does a typical Friday night look like for you? What is your favorite healthy snack? Cheat food? Go check out these wonderful blogs that inspire us on the daily! Nominees please tag us in your posts…we would love to see your answers! I loved reading your answers! Thanks for participating!